Katie C. Alexander, OTD, MS, OTR/L is an occupational therapist and clinician-researcher. Dr. Alexander received her BS, post-professional masters and doctorate from the University of Kansas Medical Center. For over 15 years, she has specialized in community and school-based intervention for individuals with neurodevelopmental disabilities and served as the founding program director for the Model Asperger Program at The Ivymount School. Her research and clinical interests are in developing research-and strengths-based interventions and supports that improve the daily lives of individuals with neurodevelopmental disabilities and their families. Dr. Alexander also works to disseminate evidence-based practices and improve interprofessional collaboration. Laura Gutermuth Anthony, PhD, Associate Professor, Division of Child and Adolescent Psychiatry, Department of Psychiatry, University of Colorado School of Medicine, and the Pediatric Mental Health Institute at the Children’s Hospital Colorado. Dr. Anthony completed a dual degree PhD program in clinical and developmental psychology at the University of Illinois, Chicago in 1997. Since then, she has focused her most of her research and clinical work on children with neurodevelopmental disabilities and intervention development and implementation. She has also received funding for 11 federally-funded and 7 foundation research grants including several to study the Unstuck and On Target suite of interventions. 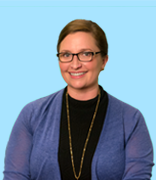 Lynn Cannon, M.Ed is a social learning specialist at The Ivymount School and The Maddux School. Ms. Cannon received her M.ED in Special Education from the University of Virginia. For over 15 years, she has worked as an educator, administrator and program director, serving students with neurodevelopmental disabilities. Ms. Cannon is also a co-author of Solving Executive Challenges, a resource guide for teachers and parents, The Conversation Club, an instructional manual for teaching conversation skills to students with neurodevelopmental disabilities and the Ivymount Social Cognition Package, a comprehensive, online system for supporting social and emotional learning in K-8 students with high-functioning autism spectrum disorders. Her research and teaching interests are in developing interventions and support materials for students with neurodevelopmental disabilities, therapists, educators and their families. 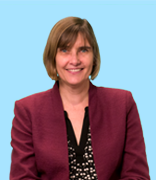 Lauren Kenworthy, PhD, is Professor of Neurology, Pediatrics, and Psychiatry at the George Washington University School of Medicine, and Director of the Center for Autism Spectrum Disorders at Children’s National Health System. Dr. Kenworthy received her BA from Yale University and PhD from the University of Maryland. 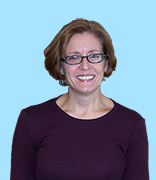 Her research interests are in describing the cognitive strengths and treating the cognitive weaknesses of autism. She is an author of more than 70 peer-reviewed publications, and of the Behavior Rating Inventory of Executive Function (BRIEF), as well as the Unstuck and On-Target curricula. She has completed two trials of Unstuck and On-Target in schools for children with ADHD or ASD. 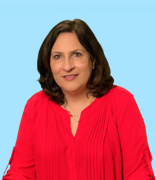 Suzanne Messina is a Senior Content Editor at 3C Institute, where she translates intervention content into interactive online courses for youth and adults to support social, emotional, and behavioral health. Her writing and editing experience includes technical and educational materials. 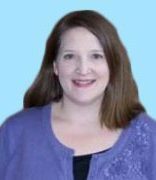 Monica Adler Werner specializes in program development, executive function interventions in autism and parent coaching and support. While she currently works in private practice, she has worked extensively in schools to develop programming for children with Autism. 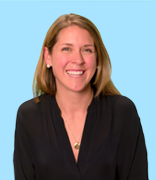 She focusses on developing multidisciplinary teams that create child centered programming. The goal is always to explicitly teach skills that emphasize problem solving, self advocacy and self regulation–while keeping students on track academically. 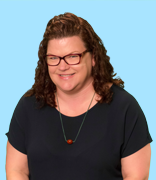 She is a coauthor of Unstuck and On Target (Brookes, 2011), a curriculum to enhance cognitive flexibility and problem solving in students with Autism and Solving Executive Function Challenges: Simple Ways to Get Kids with Autism Unstuck and on Target. Monica has an undergraduate degree from the University of Pennsylvania and a Masters degree from Johns Hopkins. She completed the coursework for her BCBA at Florida Institute of Technology and is working toward her Masters in Counseling (LCPC). Development of Unstuck and on Target: Course for Parents and research reported on this website was supported by the National Institute of Mental Health of the National Institutes of Health under award number R44MH109193. The content is solely the responsibility of the authors and does not necessarily represent the official views of the National Institutes of Health.